As his eyes adjusted to the dimmer lighting of the shop, he heard a voice saying, “Hogwarts, dear? Got the lot here – another young man being fitted up just now, in fact.” The speaker was a short, compact witch in mauve robes, and she was talking to a boy about his own age. The boy was skinny, skinnier even than Calvin, and had a mop of unruly black hair spilling over his head. He wasn’t wearing a robe, so Calvin assumed he was also from a muggle family. The squat witch turned to Calvin. “You headed for Hogwarts too, dear? Come to the back and I’ll have you fitted as soon as I finish with this young man.” She headed to the back of the shop, where a boy with a pale, angular face and obnoxiously blond hair was standing on one of the two footstools, having his long black robes pinned up by a second witch. “I sure hope so! Otherwise, this is one elaborate prank. My name’s Calvin, by the way,” he responded happily. “So you’re new to this magic stuff too?” Harry asked as they approached the footstools. Madam Malkin slipped a large robe over Harry’s head, and began placing pins in here and there, making sure it was the right length for him. The blond-haired boy on the footstool next to him glanced at them both. “I think he meant also, not the number two,” said Harry, holding an arm out to his side as Madam Malkin folded and then pinned some extra material. “So you’re a muggleborn, then,” said the pale boy, grimacing slightly. “What about you?” he demanded, sticking his chin out towards Harry. “I grew up with muggles, but my parents were wizards, if that’s what you mean,” Harry answered. He really didn’t like the other boy’s attitude. He reminded him a bit of Dudley. “Well why’d you do a stupid thing like living with muggles if you have wizarding parents?” said the boy, as if repulsed by the thought. “My parents are dead,” Harry responded a bit more crossly than he’d intended. “Oh, sorry,” said the pale boy, his expression not changing in the slightest. “You don’t sound very sorry,” Calvin interjected, raising an eyebrow. Man, I am so thankful I put in all that practice. The blond boy snorted contemptuously. “I hope they don’t sort any muggleborns into Slytherin – that’s where I’m hoping to go, and all the Malfoys were there when they were in Hogwarts, so it’s bound to happen. What are your surnames?” he then asked, nodding to both of them. “Sir Calvin,” replied Calvin instantly. What a stupid question. “A surname means your family name,” Harry said, looking at Calvin with a wry smile. “Mine’s Potter,” he continued, turning back to the other boy. “Potter?” the boy said, almost to himself. Then he frowned suspiciously. “What about you, then?” he asked, nodding in Calvin’s general direction. “Oh, I’m too much of an individual to have a family name,” Calvin responded as if stating the obvious. “What’s that supposed to mean?” the blond-haired boy said indignantly. “Everyone has a family name!” He seemed to think family names were pretty important. “Doesn’t really seem like a valid sorting system to me,” Harry said thoughtfully. “I mean, what if you’ve got a rash book nerd? Or a rash nobody? And what does ‘best’ mean? Is there an objective best, or do the teachers decide?” Calvin was nodding in agreement, but the blond boy just snorted. “Nobody decides, the sorting hat sorts everybody into their rightful house,” he said, rolling his eyes. “How does it know which house is their rightful house?” asked Harry. “Exactly,” the boy replied, nodding at him as if complimenting a student on a correct answer. The witch who was working on the boy’s robes stepped back, clicking her tongue. “All right, you’re done here,” she said, and the boy stepped off the stool. “Well, I’ll see you two at Hogwarts, I suppose,” he said, stretching. “Not if we see you first,” replied Calvin reflexively. He stepped onto the now empty footstool as the witch went to fetch a robe to be fitted for him. “My name’s Draco, Draco Malfoy,” said Draco Malfoy. “…Right. Anyways, I have to go take care of my sanity, or at least what’s left of it after this conversation. Be seeing you, Calvin, Potter.” He gave Harry a look, then left the shop. Madam Malkin stepped away from Harry. “That’s you done, my dear,” she said in a chipper voice. Harry stepped off the stool, and waited while the other witch was finishing up with Calvin’s robes. “Calvin…?” Harry said, waving his hand in front of the spiky-haired boy’s dazed eyes. “Probably because he knows who I am,” Harry muttered, looking down. Harry sighed and a resigned expression planted itself on his face. “Apparently, when I was just one years old, the most powerful and feared dark wizard in all of Britain, Voldemort, came to my house to kill me. He killed my parents, but when he tried to kill me, something happened that made it backfire, destroying him and leaving me with this.” He lifted up the cascade of black hair covering his forehead, revealing a scar shaped like a lightning-bolt. “No, sure, you won’t hear another word about it from me,” Calvin said quickly, miming locking his mouth and throwing the key away. 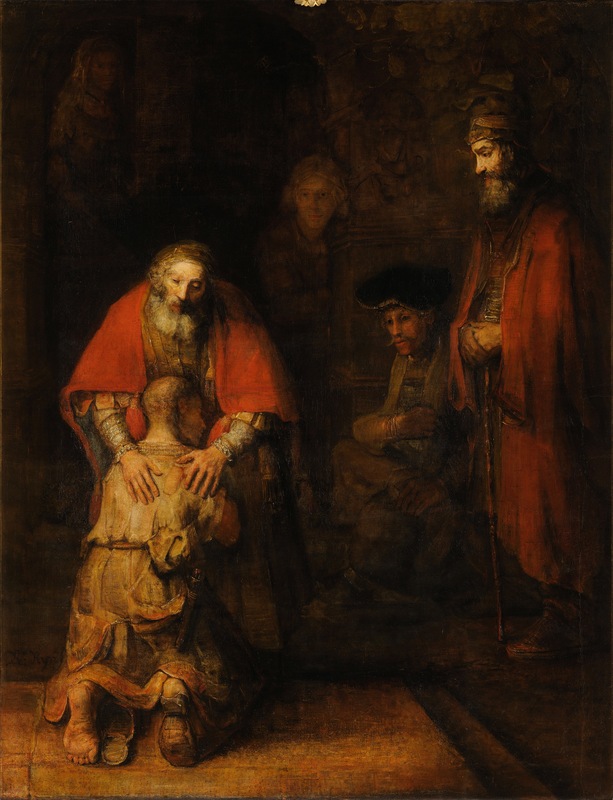 “You’re finished too,” the witch who was fixing up Calvin’s robes said, stepping back. “Ah well,” Calvin replied. “Can’t win ’em all. Or is it ‘can’t win a mall?’ I forget.” Harry shook his head, grinning, and headed to the front of the shop, Calvin right behind him. So they said goodbye, and promised to find each other at King’s Cross on September 1st. As Harry left, a ridiculously large man came by and began talking to him, and then they walked off together. Woah. That guy is seriously gigantic. I wonder if Hobbes could take him in a fight, Calvin thought seriously. His musings were interrupted by the door opening, and he turned to watch as a bushy-haired girl with bucked-teeth walked confidently into the shop, followed by two people who could only be her parents, looking around cautiously as if they expected to be set upon by dragons at any moment. Madam Malkin walked past him to greet the three customers, and then led them to the footstools at the back. With nothing to do but wait for Professor McGonagall, Calvin decided to follow them. “You’re a muggleborn too, right?” he asked the girl as she stepped onto the footstool. “She can turn into a cat! ?” asked Hermione incredulously. “My best friend. He’s a tiger,” Calvin added offhandedly. Hermione stared at him, then just shook her head as if to clear it. “Your robes are finished, dear,” Madam Malkin announced, tucking the extra pins into her hair distractedly. “Oh, thank you,” Hermione said, stepping down from the stool and examining her robe. “It fits perfectly,” she added, smiling at the seamstress. “I will. Thank you again.” Hermione turned to Calvin. “It was great meeting you, Calvin…” She trailed off. “Oh, I don’t have a last name,” Calvin said, guessing that she was waiting for him to supply one. “I’ll have to meet this Hobbes fellow,” Hermione said suspiciously. “Well, Calvin of the tiger-eaten last name, I have to go get the rest of my school supplies now. I’ll see you on September 1st?” she asked hopefully. “Count on it,” replied Calvin with a nod. “I’m happy I met you – I’ve never talked to a female before that hasn’t tried to have me sent to either the principal’s office or my room.” Hermione giggled and tried to cover it up, causing it to become a full-blown laugh. Then she waved at him, and her parents led her outside, peering worriedly over their shoulders at Calvin. And everything else. He walked up to the pair as the door closed behind them, giving a little bow and a smile. “Another one for Hogwarts, I suppose? Right this way, then.” Looking a bit unsure, they followed him to the back of the shop. What is it, muggleborn hour? Calvin mused as he noticed the muggle clothing the mother and son were both sporting, and the curious glances they gave every part of the shop as they walked past it. Madam Malkin looked up in surprise as they approached, then smiled warmly. “Another one for Hogwarts, dear? This way, then,” she said, gesturing to the footstool. The pair looked back and forth between Calvin and Madam Malkin in confusion. “What’s the matter, dear?” the squat witch said when she noticed that the boy had yet to make a move toward the stool. The boy shook his head and stepped up onto stool, where Madam Malkin slipped a billowing black robe over his head. That’s certainly a lot of billowing. Does mine billow like that? Calvin twisted his head, trying to get a good look at the back end of his robe. When he turned back around in defeat, the short-haired boy was talking to Madam Malkin, pointing to a place on his sleeve. “Do you think I could get some maroon and yellow accents along this spot here?” Madam Malkin just kept pinning. “And maybe the West Ham logo on the back – that’d look great. Don’t you think?” he added, looking at Calvin. “What’s West Ham! ?” the boy guffawed. “Only the greatest team in football! I mean, sure, they finished bottom of the league last year, but they’ve always been a bit inconsistent – this year I bet they’ll go up twenty places, at least!” He noticed Calvin’s expression of mild bafflement and stopped. The boy’s mother cleared her throat loudly. “Wha- oh, right, forgot to introduce myself, sorry. I’m Dean Thomas, and this is my mum,” he said, nodding towards the woman on his left. Why do I always wait for the other person to introduce themselves first? That’s got to change, Calvin decided silently. The woman lifted her hand in greeting and smiled. “Are you also going to Hogwarts, dear? We were so surprised when Dean got his letter – though now that I think back on it, his father was probably a wizard. Can’t know for sure though.” Dean looked uncomfortable at the topic being discussed, and was studying the carpet intensely. “We have a teacher who can turn into a cat! ?” said Dean, face lighting up in amazement. “Cool! I wonder what type of magic she teaches. Maybe we all get to learn how to turn into animals!” he said enthusiastically. “That would be epic!” agreed Calvin just as enthusiastically. “It would be so totally wicked!” Dean enthused, yelling. “It would be beyond wicked!” yelled Calvin loudly. “It would be flippin’ amazing!” Dean loudly declared. “It would be amazingly fantastic!” Calvin declared excitedly. “It would be fantastically incredible!” Dean excitedly screamed. “It would be incredibly mind-blowing!” Calvin screamed boisterously. “It would be mind-blowingly magnificent!” Dean boisterously proclaimed. “All right, you’re finished, young man,” Madam Malkin interjected, massaging her temples. The other witch and Dean’s mother were both yawning determinately, trying to pop their ears. “I’ll look for you at King’s Cross. See if we can’t get a group of muggleborns together for the train ride,” Calvin told him, thinking of Hermione and Harry (so Harry wasn’t technically a muggleborn, but he was where it counted – namely, recognizing movie references). “Sounds good! It was first-rate meeting you, Calvin!” Dean smiled and waved as his mother pulled him to the door. “It was whiz-bang meeting you, Dean!” Calvin shot back as loud as he could before the door closed behind them. He smiled to himself. That kid’s great. Hope he’s in Gryffindor. Professor McGonagall seemed to deflate, and she stared up at the ceiling, shoulders limp. “I had assumed,” she began tiredly, “that since I’d spend a little over ten minutes away, you would certainly wander off, ignoring my instructions to wait. I started my pre-emptive search, which, of course, yielded nothing, as you were apparently here the entire time.” She looked at him and frowned. “I continued this search anyway, thinking that by then you’d definitely have wandered off. It went on like that for a while. You really did listen to my instructions?” she asked as they left the robe shop, blinking in the afternoon sunlight. Calvin gave an exaggerated shrug and held his arms out to the sides, his expression saying clearly, ‘Who knew?’ “I even surprised myself, Professor McGonagall. So, where to? We getting some gloves made out of dragons? A dragon made out of gloves? A cauldron made out of chocolate, perhaps?” he said eagerly, rubbing his hands together like a mad scientist mouse with a genius yet dastardly plan to take over the world. “Oh, thank goodness, this scene was dragging on forever,” Calvin sighed, placing the back of his right hand against his forehead dramatically. “Excuse me?” Professor McGonagall asked, eyebrows furrowed in confusion. Huh. Seems everyone’s eyebrows get some good exercise when talking to me. “Nothing,” he replied dismissively. “Wow, is that an ocean blue ferret! ?” he then exclaimed, rushing over to a nearby shop window. Ollivanders was a run-down looking place, and much more narrow than the shops around it. The golden letters on the door were peeling, but Calvin could still read it just fine. ‘Ollivanders: Makers of Fine Wands since 382 B.C.’ it said. Calvin whistled appreciatively. “That is old. How is this guy still alive?” he asked, looking up at Professor McGonagall. She just snorted half-heartedly and opened the door, gesturing for Calvin to go inside. Somewhere deep inside the store a tinkling bell sounded faintly. The quiet that followed was so complete it seemed almost suffocating. Calvin shivered, wishing he’d brought a jacket. It was significantly colder in here than it had been in the other shop, though he didn’t see how that was possible. He looked around. Aside from a spindly chair near the entrance, the rest of the shop was dominated by row upon row of old wooden shelves, dust coating them like varnish. Crowding every level of every shelf were heaps of narrow boxes, and in some places the heaps had spilled over onto the floor, piling up until the ones on top scraped against the the ceiling. The quiet stretched until it somehow felt as if it had reached a breaking point. The air appeared to crackle with mysterious energy. The hairs on Calvin’s neck and arms stood on end. He gulped nervously, waiting, waiting for…something, he wasn’t sure what, but something had to happen, or he’d snap. “Good afternoon,” said a voice softly from somewhere above his left shoulder. “GAHH!” Calvin yelped, jumping and twisting in the air. He landed heavily on his side, and looked up to see an old man with wide, pale eyes shining like headlights through the dim air of the shop. The man was staring at him, smiling blankly. Calvin turned his head to Professor McGonagall, fear still frozen in his stomach. “Is- is he… safe?” he squeaked, the air barely escaping his lips. “Gah indeed,” the old man breathed, still staring at Calvin. Oh god. I’m going to be taken and sacrificed to the Zargord King, I’m going to be burned alive and fed to his pet pterodactyl morsel by morsel, strip of flesh by bleeding strip of flesh…He’s going to torture me until I tell him all my secrets, and then he’ll continue torturing me because he has nothing better to do and he finds it amusing and he’s utterly insane and I’M GOING TO DIE. The old man slowly raised a hand to the side of his mouth, and leaned in until he was about two inches from Calvin’s nose. His eyes were still locked on Calvin’s. “Periwinkle,” he whispered, winking. “Wh- wha…” Calvin tried to find enough oxygen to speak, but his throat kept closing up. “What?” he finally choked out.